European and U.S. officials expected to meet in March for talks on the 2015 nuclear deal, to which Trump objects. European and U.S. officials are planning to meet in Berlin in March for talks on Iran's 2015 nuclear deal with major powers, a German Foreign Ministry source said on Wednesday, according to Reuters. The deal lifted economic sanctions in exchange for Tehran limiting its nuclear program. It was signed by the United States, China, France, Russia, Britain, Germany and the European Union. While Trump recently decided to extend a waiver on nuclear sanctions that were imposed on Iran, he said it would be the last time he will do so and ordered European allies and Congress to work with him to fix “the disastrous flaws” in the 2015 deal or Washington would withdraw. According to a recent report by Reuters, the United States has sketched out a path under which three key European allies would simply commit to try to improve the 2015 Iran nuclear deal over time in return for Trump keeping the pact alive by renewing U.S. sanctions relief in May. Iran insists its nuclear program is only for peaceful purposes and says that it will stick to the accord as long as the other signatories respect it but will "shred" the deal if Washington pulls out. One of the problematic issues with the deal, as pointed out by Trump, is its failure to address the issue of Iran’s ballistic missile program. 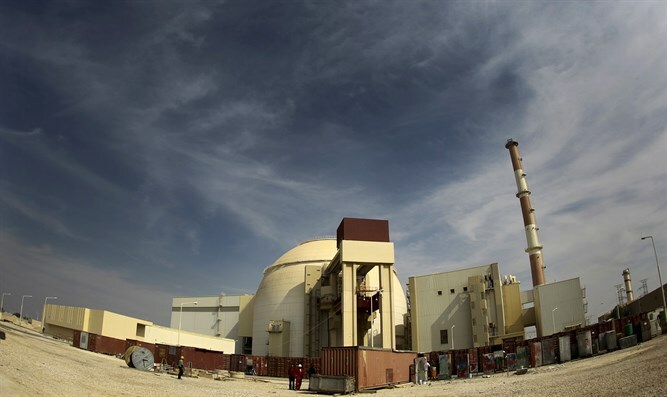 Western countries say the tests are a violation of the UN resolution enshrining the 2015 nuclear deal signed between Iran and the six world powers. Iran denies it is in violation of any UN resolutions and says its missile program is peaceful. Iranian officials have rejected any talks on the country’s ballistic missile programs.